At UK Electrical Supplies, you will find every type of cable to suit your needs. 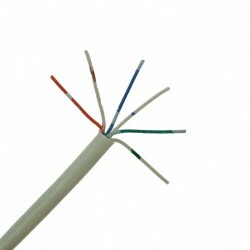 Whether it’s Speaker Cable, Satellite and Coaxial Cable, or Arctic grade cable, we stock it. We want you to find the right cable, so please do not hesitate to contact our Customer Support team for further assistance. Our specialist cables are sourced from the industry’s leading brands. A large amount sold in metre cut-offs and also in bulk. At amazingly discounted prices, you will benefit from quality products at affordable prices. Our ‘Free Delivery’ policy on purchases over £50 and our ‘Next Day’ delivery service are added reasons for you to visit. Why not see why our customers love us. Join our mailing list and be alerted to further reductions at UK Electrical Supplies.